Despite the jawdropping scale of the tetralogy, record companies have not been slow in recording the work. The CD catalogues are full of recordings, both live and studio, of the work. Old recordings have been exhumed, tidied up with modern digital technology, and released in sound which comes closer than ever to the original. I have heard recordings made in Bayreuth more than a century ago sounding fresh as a daisy. 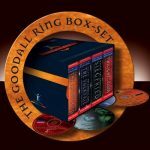 So let’s suppose for the sake of argument that you are looking to buy a recording of the Ring cycle. Which should you choose? Should you indeed choose one or perhaps rather pick individual recordings for each of the four operas? 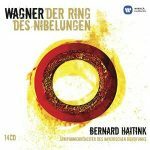 There have been some magnificent recordings of individual operas that have either been recorded as stand-alone pieces or where the remainder of the tetralogy is either lost or was never recorded. Some of these are remarkable recordings in their own right. I have always greatly enjoyed the recording of Die Walkure with largely London forces under the direction of Erich Leinsdorf from 1962, a recording which threatened to derail the Culshaw/Solti Ring. A wonderfully brisk and terse account of the opera, capturing the galloping pace of the drama, but one which never spawned an entire cycle. Similarly I would not wish to be without Karl Elmendorff’s recording of Gotterdammerung from Bayreuth in 1942. The notion of the twilight of the gods, just as the war on the Eastern front began to turn against the Third Reich, can hardly have been lost. The recording has a reflective, almost valedictory tone. And I don’t think it’s just me and my imagination. Both are glorious performances and even though more than 70 years old, the music shines clearly through. But these are individual operas. Let us put aside the notion of individual operas for the time being and assess the Ring as a single work. Which recording then should you buy and why? Rather than review each recording chronologically, I will try to present my thoughts and comparisons in a more engaging way. 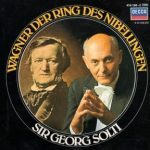 For me, the discovery of the Ring cycle in 1974 was the discovery of Georg Solti as a conductor. To hear Solti’s Ring was to be transported to an entirely different world. And Solti brought drama to the Ring in a way that few conductors before or since have managed. Much is written about the architecture of the Ring and I will come onto that later but nobody captured the huge tidal waves of sound quite like Solti. For him the Ring was very much a magical fable and his exposition of the music is almost in that vein. 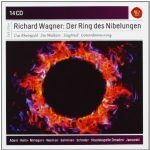 Siegfried’s funeral March from Gotterdammerung is as dramatic and brutal a portrayal as has ever been recorded. Solti was helped by legendary singers albeit often captured late on in their careers when the voices were on the wane. Nonetheless, to hear some of these great voices in gloriously recorded stereo was wonderful. Jon Culshaw’s book “Ring Resounding” describes in detail the recording of the Ring over the course of eight years and the machinations necessary to get so many egos into one room. 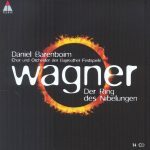 It is a testament to Culshaw’s unique managerial abilities that the Ring recordings have a cast that includes Kirsten Flagstad, Birgit Nilsson, Wolfgang Windgassen, Gottlob Frick and, perhaps greatest of all, Hans Hotter. To hear Hans Hotter deliveRing Wotan’s farewell to Brunnhilde at the end of Die Walkure is to hear opera at its absolute finest. Sure the voice is wobbly and certainly struggles with some of the intonation. He was recorded some time after he had retired from theatre but the sheer majesty of his performance is breathtaking. Nothing could speak more eloquently of the humanity of the Ring than this. 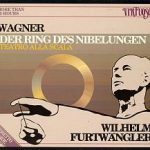 In many ways, the Solti Ring was a time capsule, the final summary of a glorious age of Wagnerian singing. And for that we should be profoundly grateful. To be honest, the recording has not aged well sonically. I remember it from my youth as a glorious wall of sound and it still is of course. But the transfer of this old analogue recording to digital has highlighted some of the sonic flaws – the tendency to distort or saturate at very high volume for instance. Ten years ago, I would have picked this recording is my first choice – my desert island discs – without hesitation. Now I’m not so sure and I’ll come back to that. Not long after Solti finished his recording of the Ring in Vienna, Herbert von Karajan started to record his statement on the Ring. Conceptually this could not have been more different. 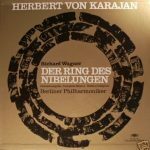 Where Solti drove the drama along on tsunamis of orchestral sound, Karajan reduce the orchestration almost to the level of chamber music when supporting the singers. For him the words were the priority and his sound allows the details of the orchestration to be heard as never before. The recording was made in Berlin and the dryness of the orchestral timbre is further helped by the absence of echo. This more than any, and it pains me to say so, is a style of presentation that would resonate particularly with Wagner himself who constantly railed against impresarios reluctant to modify their theatres to accommodate his works. Some singers reprise their roles from the Solti recordings. Gerhardt Stolze allows himself even more sprachstimme under Karajan than for Solti. 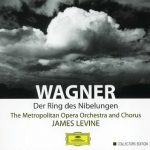 But for the most part this is a fresh group of singers, sometimes without explicit Wagnerian pedigree, but recorded for their musical intelligence. At the end of the day, this is Karajan’s vision of the Ring and singers are secondary to that. For many listeners, you have to go back further and closer to home for the authentic Wagnerian sound. By “closer to home” I mean of course Bayreuth, spiritual home of the Ring. But the same phrase also refers to the doyen of post-war Wagnerian conducting, Hans Knappertsbusch. Many of Knappertsbusch’s recordings are available in some form or another if you really dig, but perhaps the most easily accessible is from Bayreuth in 1956, a mono recording in adequate sound. 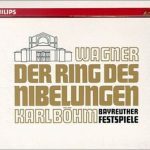 Although the Bayreuth recordings can always claim primacy of authenticity – the master did after all build the opera house specifically for the Ring – we should not forget that the first two Ring operas were premiered in Munich and thus subjected to a different acoustic. By modern standards Knappertsbusch is a dinosaur and, in many respects, the reason people resist Wagner. His tempos are slow by any mark, and his emphasis is very much on the orchestral architecture. In the longer passages, such as the dawn sequence from Gotterdammerung, this works well. But for modern ears there is also the sense that he does not reflect some of the intensity of the drama. Unlike the volatile Solti, Knappertsbusch is unmoved by stage drama. For him, the drama takes place in the orchestra pit. That said, the 1956 recording has some glorious singing, not least by Hans Hotter, Wolfgang Windgassen and, Astrid Varnay. Hotter and Windgassen’s voices are less strained than they were a decade later under Solti and Varnay is electrifying as Brunnhilde. She didn’t always hit the notes absolutely accurately but her vocal range was magnificent. In many ways the singers are the reason for buying the set. The orchestral tone is adequate but softened by the Bayreuth pit. 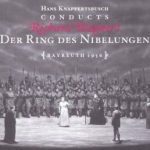 Fascinating though the orchestral sound is, Knappertsbusch stamped his authority all over it. I used to be a much greater fan of his conducting but nowadays I’m a little less than certain. The world has moved on from this lumbering orchestral leviathan. Still, judge for yourself. Although Knappertsbusch represented the ponderous splendour and majesty of Wagner’s music, others sought to extract subtler textures from the orchestral tapestry. None did this better than Wilhelm Furtwangler. And as if that was not good enough in its own right, we are spoilt for choice. In his career, Furtwangler recorded the Ring not once but twice under different conditions. Both performances are essentially live and in the case of the La Scala Ring, made during public performances in 1950. The second set, for Italian radio in 1953, was also recorded live in the sense of a single performance albeit without an audience. Live recording suited Furtwangler better than most conductors. Furtwangler had away of extracting breathtaking performances in front of an audience and orchestras found themselves caught up in this electricity. What we see in these recordings is the most natural, unhurried, but excitable orchestral playing. Furtwangler modified tempo better than anyone, subtly and credibly, in order to point out drama but always without exaggeration. 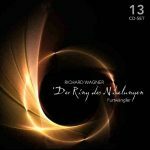 If it was there in the music, Furtwangler would offer it. If it was not, he would not create falsehoods. Tempos are natural and generally faster than Knappertsbusch. Of course there are always drawbacks to live performances. Mostly these are the audience. The 1950 recordings are particularly bad in terms of audience “participation”. By modern standards, the amount of coughing is shocking. Italian audiences are notorious for their disrespect, but the continuous coughing is distracting. In some passages, the singers are having to cope with what sounds like a tuberculosis epidemic. The 1953 set has no audience and although the performance is live, there are no such interventions. For some this will be a deciding factor. So what distinguishes the two performances? Well, the first thing to say is that the orchestral sound is noticeably better in the 1953 recordings. Both are mono but, whether due to more recent engineering or better raw material, the 1953 recording is clear whereas much of the detail on the 1950 set is lost in the continual coughing. It’s really that bad. For some, these aspects may be sufficiently damning as to preclude consideration of the 1950 set. But that would be to forget the singers and make the assumption that the Ring is only the orchestral sound. When we turn to the singers, the margin between the two sets is much narrower. Because in 1953 Furtwangler’s Brunnhilde was none other than Kirsten Flagstad, in her prime. And we should remember that she was, for many, THE Brunnhilde of her generation. A voice of absolute clarity, tonal accuracy and awesome power, she was simply awesome. I never heard her in the flesh but her many recordings are testament to this vocal colossus. The remainder of the cast is certainly good – Ferdinand Frantz as Wotan and Max Lorenz as Siegfried for instance – but this is really the Furtwangler Flagstad show. Although marred by the audience this is still epic singing and performance. Moving on to the 1953 Italian radio recordings, the listening is easier. No nonmusical interruptions to break the spell. Just luminous conducting by Furtwangler with what would be a very fine “cast performance”. By that I mean that the performance is very much a company effort rather than a vehicle for a single outstanding singer. Perhaps I’m deluding myself, but that seems to me to be reflected in the performance. There is no sense of anticipation of the big arias which are simply integrated into the music.Wotan is again Ferdinand Frantz but Siegfried is now Ludwig Suthaus, an excellent singer but no Max Lorenz. Brunnhilde is Martha Modl, a Bayreuth favourite. She is no Flagstad, but then nobody else was. She swoops upon the notes like the Valkyrie she is and although not always accurate her voice is always dramatic and compelling. Two recordings by Furtwangler, both compelling but in entirely different ways. If only we could have the best of both sets in one. But then who would agree that? My own preference is for the 1953 Rome set. An integrated performance with all Furtwangler’s electricity and no distracting audience participation.